Almost every person in today’s world uses plastic. This material generally is not biodegradable. Over time, it breaks down into tiny pieces which are generally referred to as microplastics. They are extremely harmful to the environment. It might sound shocking but microplastics are also commonly found in food items, particularly seafood. The fact still remains unclear that whether microplastics affect human health or not. The small pieces of plastic that are known to be found everywhere in the environment are commonly termed as microplastic. They are specially defined as particles that are less than 0.2 inches in diameter. Either they are produced as plastics, such as microbeads added to the toothpaste as well as exfoliants. They are also created when larger plastics are broken in the environment. Microplastics have been considered an emerging safety concern because of the toxicity of plastic as well as its components. There are also some plastic monomers that pose serious threat to the body. They are considered carcinogenic or toxic if ingested. Plastic microparticle mainly accumulates in the gastrointestinal tract of animals. This is why, it is convenient to degut fish before consumption, which minimizes the direct exposure to microplastics. Due to the increase in the usage of plastic, there is much more plastic in rivers and oceans. About 8 million metric tonnes of plastic has been estimated to be entered into the rivers. Whopping tonnes of plastic is floating in the sea. According to a recent study, 15 different brands of salt have been found to contain 273 microplastic particles per pound floating in the sea. It affects not only the aquatic environment but also human beings. In a recent study, a quarter of the marine fish sampled from the markets in California and Indonesia were found to have plastic debris and fibers from the textiles in their guts. 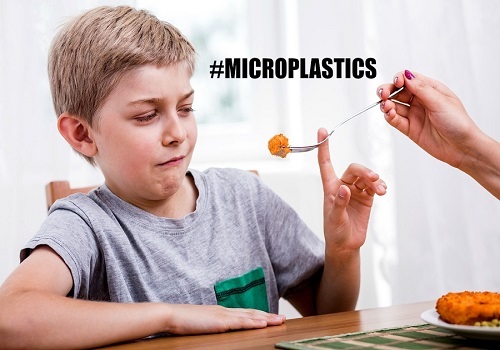 Several emerging studies also stated that the microplastics especially synthetic fibers have been found in various food items. Oysters and Mussels have been found at much higher risk of microplastic contamination as compared to many other species. How are microplastics affecting your health? A number of studies have shown that there are microplastics present in food, it still remains unclear what threats they pose to your health. There is a type of chemical called phthalates, which is used to make plastic flexible. It has been shown to increase the growth of breast cancer cells. A study also examined the effects of microplastics in laboratory mice. When they were fed to mice, the microplastics accumulated in the kidneys, intestine, and liver were reported to drastically increase the levels of oxidative stress molecules in the liver. Plastics have also been found in the liver. One study found that plastic fibers were found in 87% of the fibers. Bisphenol A is one of the most studied plastics found in food. It is found in packaging or food storage containers and can easily leak out into the food. How can one avoid microplastics? Microplastics are found in various different food sources. However, it is still unclear how they are affecting human health. The highest concentration has been found in the shellfish. Some plastics can also leak into food from packaging. So, the best you can do is limit the use of plastic food packaging that may help you in curbing your microplastic intake and also benefit the environment in all the process. Unfortunately, microplastics have been found everywhere in the environment, including in the air, water, and food. Seafood, especially shellfish is known to contain the high concentration of plastics that may also accumulate in your body after you eat these kinds of food. They are either produced purposely small or formed from the breakdown of large particles. By reducing the use of plastic food packaging, you can reduce the plastic from the environment as well as in the food chain. It’s a great step that will benefit the environment and probably your health as well. Share this with your friends and family and encourage everyone to reduce the use of plastic in their homes in order to stay healthy and safe.